- 7 phase PWM for GPU on Hawk provides 100% more current compared to 4 phase PWM on reference HD 5770. 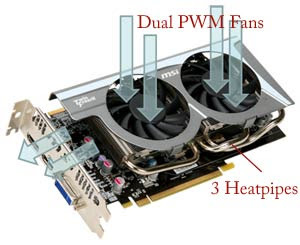 - Dual PWM fans and triple heatpipes. - Temperature is 13℃ lower than reference cooling design. - Use afterburner to overclock HAWK, and performance is up to 20%. 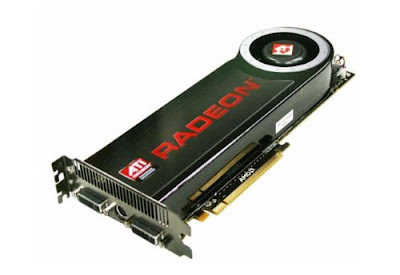 - Hi-C Cap provides more precise GPU voltage and has better stability. - SSC (Solid State Chock) for No Buzz noise. * The new TeraScale graphics engine features up to 1.2 teraFLOPS, nearly one billion transistors and up to 800 stream processors so you can enjoy the high resolutions and fast frame rates previously only available with dual-card systems. * Equipped with the fastest, most advanced GDDR5 memory technology, this GPU supports higher data rates which translates directly into superior performance and maximum memory bandwidth. * Get right in the action and experience cinematic gaming with mind-blowing performance in the latest DirextX®10.1 games. 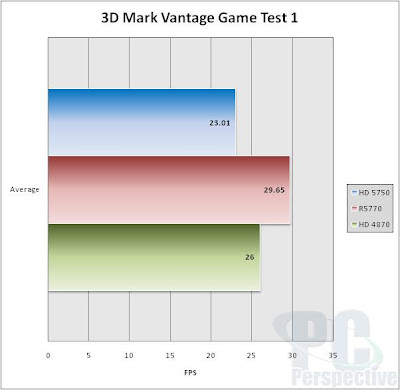 * High performance anisotropic filtering and 24x custom filter anti-aliasing (CFAA) smooth jagged edges and create true-to-life graphics, for everything from grass to facial features.